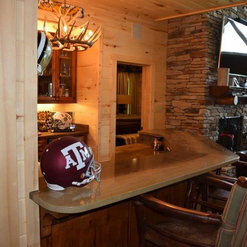 We are a family owned and operated countertop company located in Benton, Louisiana. We take pride in providing our customers with top quality products and services. We opened our doors in 1990, with one goal in mind... to make your home beautiful! 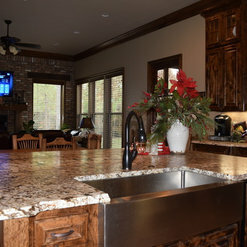 Countertops are the backbone of our company, however we offer many other services such as: flooring, back-splashes, cabinets, and engravings. There is no doubt about it, building or updating a home is a big financial commitment, and we want you to know that you are in good hands with our team! 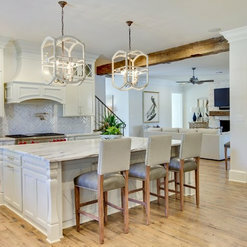 Come in and see us today so we can make your dream kitchen or bathroom a reality! Sheppards replaced my old laminated countertop. and sink of about 25 ft. in the kichen. Tore out the old stuff and put in new Corian countertop with built-in sink and added 4" tile backsplash. Made my kitchen look so new and modern.They do excellent work and are wonderful people to deal with. Ashleys Building and Construction, LLC. 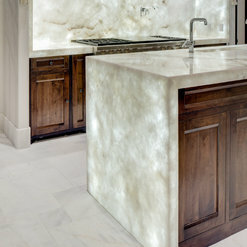 This company handles our countertop needs for our client home remodels. 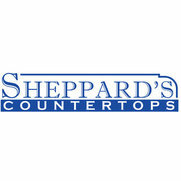 We choose Sheppard's countertops for all our home remodels. Sheppard's is a loyal family business and have the patience of a saint, especially when it comes to my design changes and requests. They are top notch professionals! Thank you so much for the kind review. We appreciate your business! As a builder, we have worked with Sheppard's on several projects and I am always impressed by their attention to detail and desire to please their customer. They are very knowledgable and take great pride in their installations. Justin Sheppard is a perfectionist and that means a lot to my customers. I highly recommend them. Thank you so much for the nice review. It is always a pleasure to work with you. Sheppard's Counters did an outstanding job on our new home. They installed our wood floors, tile, granite counter tops, and rock fireplace. We couldn't be more satisfied with the outstanding beutiful job that they did. We would recommend them for any new home or project remodel. Thanks a lot for the great review! We appreciate your business! 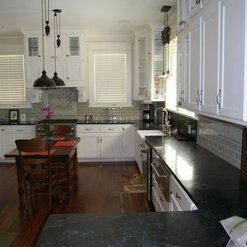 Sheppard's is a very reliable, and courteous countertop supplier. They always have great installs, and their seams look very good. If they happen to have a seam that needs to be touched up, they are easy to work with and get back out to the job site. They work with clients well, and will go out of their way to find what the client is looking for. Thanks a lot for the great review and the good looking pics! Y'all keep up the good work! I work for Morrison Supply Plumbing and Appliance and have worked with Sheppard's Countertops for a few years now. I recommend all of my customer to Sheppard's and have heard excellent feed back form my happy customers. They are very efficient and great to work with. Justin Sheppard has a good creative eye and will work with what you finding what granite or flooring that is right for you! They have a great selection to choose from and great people to work with. 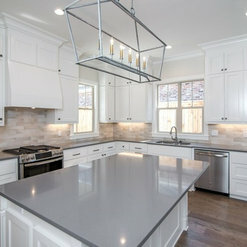 I highly recommend Sheppard's Countertops and flooring. Thanks for the nice review! It is always a pleasure doing business with you guys! I have worked with Justin and Martha at Sheppard's Countertops; they have always been so helpful and quick with their responses. Sheppards always goes out of their way to make sure we get the best quality and overall look that our clients want and expect. Partnering with them is something that we will continue to do as I know that we'll receive the finest work and expert guidance. Thanks for the great review! It is always a pleasure working with Jackson Construction! Y'all keep up the good work! The countertops turned out better than we could imagine! 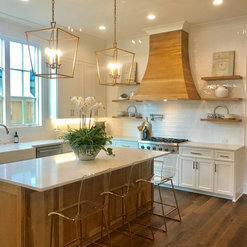 The dream of having our kitchen come to life was amazing! 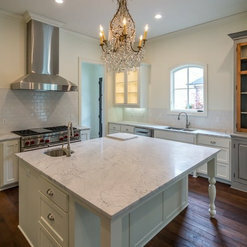 The staff and owners of Sheppard Countertops were so honest and did a fabulous job! We could have not been more pleased with the outcome of our kitchen, bathrooms, and remaining rooms. My husband and I would reccomend this company to everyone. Thank you so much!! Y'all were such a pleasure to work for!! Thanks for letting us do this outstanding project! Y'all have a beautiful home! Getting your outdoor kitchen stone tomorrow!! Sheppards did our countertops in our new home and we could not be more pleased. They did a great job and we absolutely love the finished product! They made sure everything was perfect. If there was something we weren't happy about they kept working until we were completely satisfied. Thanks for the nice words! It was a pleasure doing business with you! 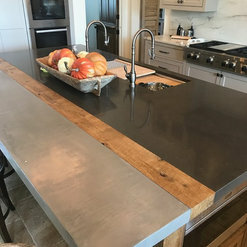 Being in the building industry, we are always looking for a company that offers a good quality product at a fair price, Sheppard's Countertops offers both. I have worked with Sheppard's for 15 years. Many of the projects were very complex and time consuming--Sheppard's met their deadline and produced a beautiful end- product. 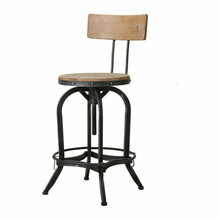 They offer friendly customer service and can accommodate even the most complex designs. I would highly recommend them for all of you solid surface needs. Thank you so much!! We truly appreciate the nice words! We value your business and will keep striving to do the best quality work possible!! They were right on time which I did appreciate. All three had super attitudes and were eager to please me at all times. They all wanted to know several time how I like their work and I realized I had the best working for me. I will be sending your company referrals and the guys did a beautiful job. Thanks so much for such a nice review! 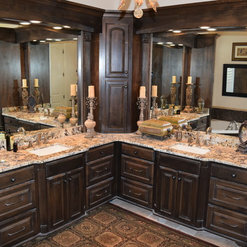 Thank you for choosing Sheppard's Countertops, it was a pleasure working for you! Not your typical contractors! Professional and courteous. Prompt and eager to provide a quality product that meets your specifications. Replaced tile/Formica countertops with Cambria and installed stainless subway tiles as backsplash in my kitchen and home office. They even cleaned up before they left the premises! Amazing!! Commented: Is the marble back lit?Yes it is back lit with a solid LED panel. The stone is a Quartzite. 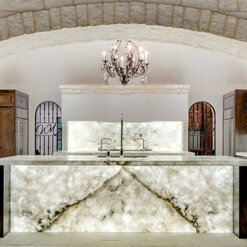 Commented: Did you guys provide the cabinets on this project?We did not supply the cabinets, only the marble. Sorry for the late response. Commented: What kind of quartzite is that and how did you light it?This is Cristallo Quartzite back-lit with Solid LED panels. Commented: BacksplashThis is a light tumbled stone backsplash. Sorry for the late response! 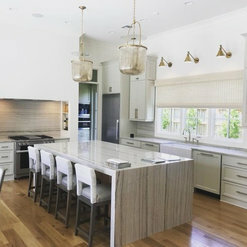 Commented: What is the material of the island base and what is the backsplash?The material used on this job is called Cristallo Quartzite. It is used as the front panel, tops, and back-splash. All of this material is back-lit with LED light panels as well. Really cool project!